Ďalšie informácie 2012 Cat 966K Wheel Loader, 9,215 frame hours, 2,767 Idle Hours recorded, 5.5 yard, GP Bucket, Original Paint, Ready to go. Read the details! · Average Engine RPM’s for life of machine recorded at 1,211 RPM. · Average Fuel Rate, for life of this machine was 4.22 Gallon per hour. This 966K is still in its original paint, Cab is super clean, and everything on the machine works as it should. Pins and Bushings in the loader frame, and center are all tight with no excessive play. This machine has as low as utilization stats as you will find, lifetime average RPM and fuel rate is very low. This was an easy duty machine. This machine is currently getting an extensive work order, including a full Cat TA2 technical inspection of all component pressures to cat spec, we are also servicing all oils and filters on machine, along with several other procedures. In our initial testing, engine had a miss, we found bad cam followers, so we installed new Cat OEM Cam, All new cam followers, #4 injector, and several other parts to make the unit 100%. Everything else in the engine internally looked really good. 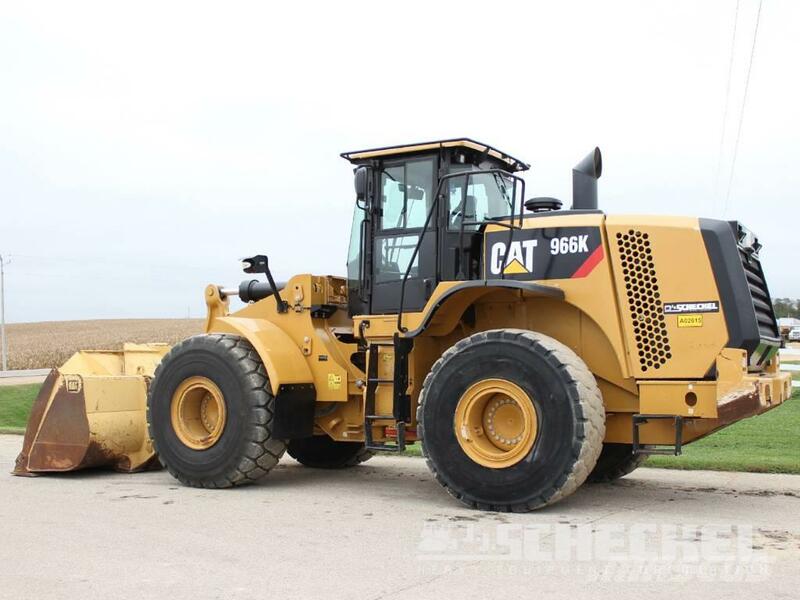 Please call or email for additional information that we can email you – this machine will be ready to go and make nice loader for someone, with a lot of life left in it.